Talia Newfield (left) and Adrienne Garrido (right). Norfolk County prosecutors on Tuesday said felony indictments had been handed up against two drivers involved in a devastating February crash in Needham that claimed the lives of two high school athletes, who were fatally struck while walking across the street. 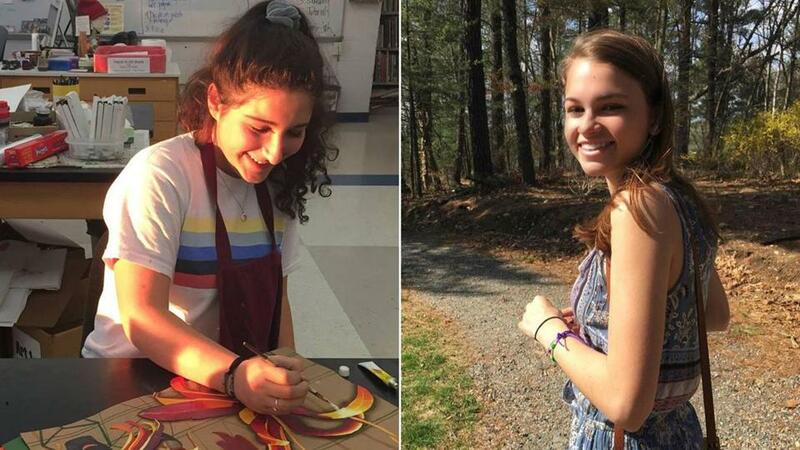 The defendants, Robert Berry, 65, of Needham, and Dania Antoine-Guiteau, 52, of Wellesley, were driving separate vehicles during the Feb. 10 crash that killed Needham High School juniors Talia Newfield, 16, and Adrienne Garrido, 17, who were hit as they crossed Webster Street near their school, according to District Attorney Michael W. Morrissey’s office. A grand jury indicted Berry on a charge of motor vehicle homicide and two counts of aggravated assault and battery with a dangerous weapon, Morrissey’s office said in a statement. Antoine-Guiteau was indicted on charges of manslaughter and negligent motor vehicle homicide. An arraignment date in Norfolk Superior Court hasn’t been set. Their lawyers couldn’t immediately be reached for comment. Newfield’s family responded to the news with a strongly worded statement. Monday was a day of mourning at Needham High School. “Talia and Adrienne were heading to dinner shortly after 6:00 pm on a Saturday night, walking in a crosswalk on Webster Street behind Needham High School — the second crosswalk that Mr. Berry and Ms. Antoine-Guiteau sped through on their way to wherever they were going — when our daughters were run down in criminal acts,” the Newfield family said. A spokesman for Morrissey declined to comment on the basis for the charges or specific details on the crash. Prosecutors said in the release that the teens were “walking on Webster Street when they were struck, not far from their high school.” Authorities have previously described the two vehicles involved in the crash as a Cadillac sedan and Nissan Sentra and said both drivers remained at the scene. The family also had a message for Talia’s grieving friends. Garrido’s family couldn’t be reached for comment. Garrido and Newfield ran for the school’s cross-country team for three seasons. Garrido also participated in indoor and outdoor track, said Daniel Lee, Needham High’s athletic director, shortly after the crash. At a meet soon after the tragedy, the indoor track team wore black-and-white ribbons with “TN & AG” written on them to honor the girls, who were also best friends. Brian MacQuarrie of the Globe staff contributed to this report. John R. Ellement can be reached at ellement@globe.com. Follow him on Twitter @JREbosglobe. Travis Andersen can be reached at travis.andersen@globe.com. Follow him on Twitter @TAGlobe.